Welcome to Tides Right Miami Fishing Charters. My name is Captain Alonzo Sotillo, and I welcome you to join me for an unforgettable day out on the water. We will fish the flats of Biscayne Bay, Flamingo and Key Largo. 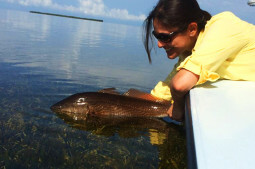 Targeted species include Bonefish, Permit, Tarpon, Redfish, Trout, Sharks and more. Flamingo will provide vast grass flats that are teaming with Redfish, Snook, Trout and Tarpon. But that is just a few of the species found inside this oasis in Everglades National Park. Both Biscayne Bay and the Upper Keys will provide shots at Bonefish, Permit, and Tarpon as well. Whether you are a seasoned veteran or it’s your first time on a flats skiff – you will be sure to have an adrenaline pumping experience. The Hell’s Bay Professional skiff allows us to stalk fish in mere inches of water. Along with the action of your Miami Fishing Charters trip, there is an abundance of wildlife to be seen. These range from Birds to Alligators, and even the occasional Crocodile! Book your trip today to experience the beauty that surrounds all of South Florida. As a Miami based fishing guide, I can bring you into some of the greatest South Florida skinny water fisheries. 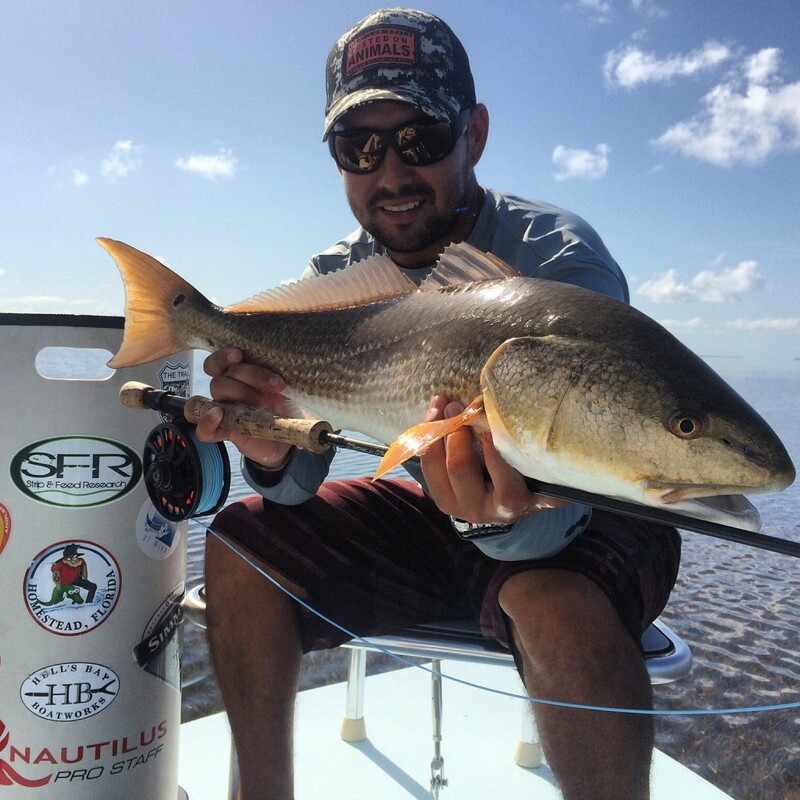 From Biscayne Bay Bonefish to Flamingo Red’s – Tides Right Charters has you covered. Located in the world famous Everglades National Park, the Flamingo fishery is simply one of the best there is. Between highly active flats and the wild surroundings, this is the trip you do not want to miss. Key Largo is one of the most exciting areas to fish. 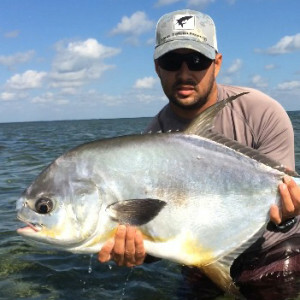 Located in the Upper Keys, this spot can feature an assortment of species promising to keep your day active sight casting or working the mangroves. Capt Alonzo Sotillo is a rare find, I have had the pleasure of fishing with many other guides and none have worked harder than he has to put me on fish. He really was dedicated to making sure I had as many shots at fish as possible, but most importantly he made sure I had great time. He knows where the fish will be on certain tides and really made the trip enjoyable. I have beat two of my personal best records with him and plan on many more! I have fished with Capt. Alonzo several times. From Biscayne Bay to the Florida Keys, from Bonefish and Redfish to Tarpon and Permit, there wasnt a single species that had a chance. Sometimes you have a fishing story when you get back home, but with Capt. Alonzo you have an experience you wont forget and will not stop bragging about. Capt. Alonzo is one of the most professional guides I have ever fished with. Cant wait for my next trip! Growing up, I was the kid that you could find on the bank of any lake or canal system in South Florida with a fishing rod in my hand. As the time passed, my passion grew stronger for anything that had to do with fishing and the outdoors. I also found myself primarily fishing offshore where I found my interest peaked in saltwater fishing. However, that all changed the first time I floated across a grass flat hunting for tailing fish! Since that day the passion I have for the sport of Flats Fishing has done nothing but grow. 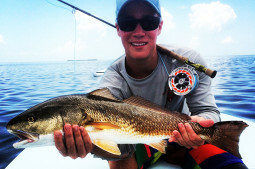 I then took my passion for Flats Fishing and fished on the professional Redfish tours. 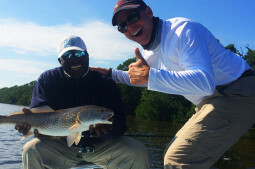 These include the Flats Masters and IFA Redfish Tour. I love sharing the experiences I had with others. This is so that they too can experience what it is to hunt down fish in super shallow, gin clear waters. I always enjoy fishing with new people and sharing knowledge, as well as providing a memorable experience! I specialize in sight fishing using light tackle and fly fishing equipment during my Miami Fishing Charters. The species you can expect to encounter are: Redfish, Bonefish, Tarpon, Permit, Trout, Sharks and more. We can target one in specific or multiple species to get the “slam.” The choice is yours! I look forward to getting out on the water. Capt. 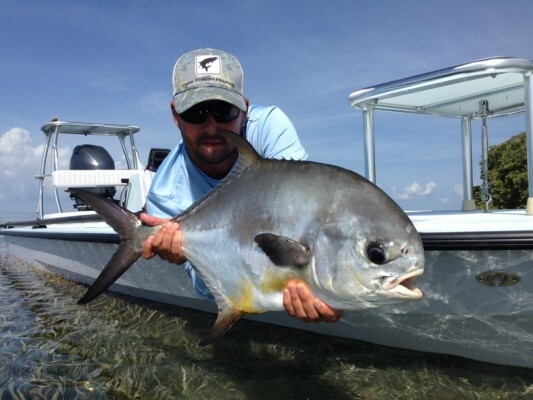 Sotillo can set you up to sight cast to your South Florida bucket list species of your choice. 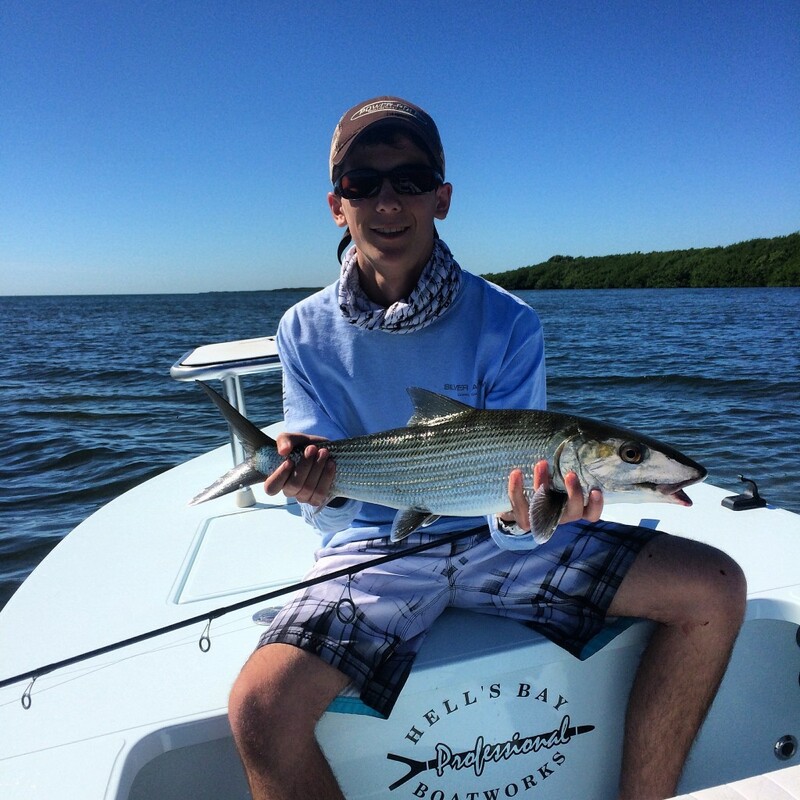 Bonefish, Snook, Redfish, Tarpon, Permit, Gator Trout, Sharks – You name it! Miami is the sportfishing capital of the world. When visiting South Florida, Miami Fishing Charters by Tides Right should be on the top of your priority list. 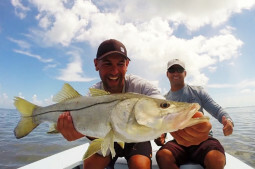 Even for locals who haven’t experienced the sight fishing experience, a day on the water with Captain Alonzo Sotillo will change your view of Miami fishing charters. Miami is central to the three main South East Florida fisheries. Our Miami fishing charters will take you anywhere from just outside the downtown skyline for the highly sought after Bonefish, to the almost jurassic setting that is Everglades National Park for tailing Red’s. Add to this the excitement of Permit fishing inside Florida Bay (the upper Florida Keys fishery), and you cannot beat the Miami fishing charters experience! While visiting Miami I am sure Miami Beach, Coconut Grove, and a few other famous places here come to mind. But no visit to South Florida is complete without seeing the real wild side of this exciting city. Cruising the shallow waters of the Key Biscayne flats is an experience you do not want to miss while you’re here. For more of a remote adventure, join Capt. Alonzo Sotillo for one the trips into Flamingo inside Everglade National Park. But no matter your chosen adventure, we can assure you that a day on the water is something that needs to be on your itinerary. Let Tides Right Charters make sure that your day on the water is your perfect day.